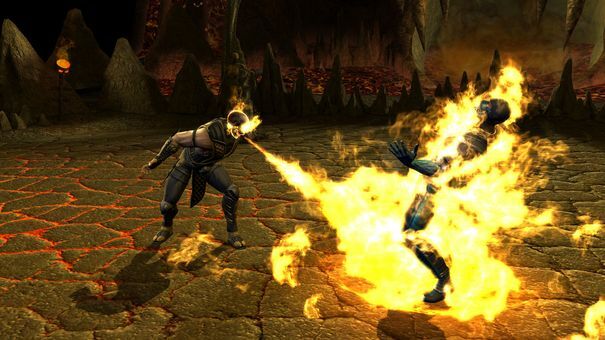 NetherRealm Studios’ 2011 version of Mortal Kombat might finally be legally available in Australia soon. Gamespot is reporting that Warner Bros will submit Mortal Kombat Komplete Edition to the Australian Classification Board in the hope that the game will receive Australia's recently-introduced R18+ rating. Mortal Kombat on console was refused classification on March 14, 2011 due to its graphic, realistic depictions of mutilations and gore. The Vita version was never submitted for classification. An appeal by Warner Bros, which claimed that the violence was on par with other games on the market, was unsuccessful. The first title to receive the new R18+ rating in Australia was Ninja Gaiden 3: Razor's Edge for the Wii U.